Delhi High Court Bar Association president Rajiv Khosla said the petitions were dismissed on technical grounds and the concerned Bar Associations will move the Supreme Court soon. 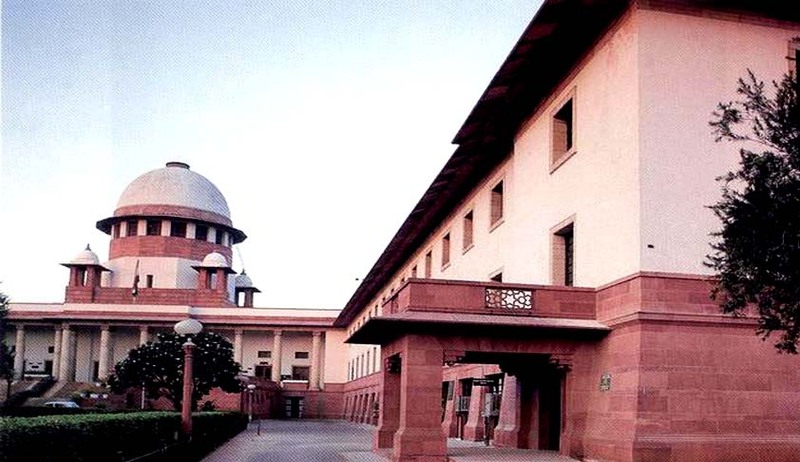 The Supreme Court has dismissed petitions challenging the Delhi High Court judgment in which the High Court directed incorporating the ‘one bar, one vote’ principle forthwith in relation to every Bar Association in Delhi (including the Delhi High Court Bar Association, the Delhi Bar Association, the New Delhi Bar Association, the Rohini, Shahdara, Saket and Dwarka Courts Bar Association and all other Court/Tribunals attached Bar Associations). The Bench comprising Justice Pinaki Chandra Ghose and Justice Amitava Roy dismissed the Special Leave Petition filed by Akhil Gupta challenging the High Court judgment. Speaking to LiveLaw, Delhi High Court Bar Association president Rajiv Khosla said the petitions were dismissed on technical grounds and the concerned Bar Associations will move the Supreme Court soon. A Division Bench of Justice Ravindra Bhat and Justice Siddharth Mridul had delivered the impugned judgment on May 31, 2016. The High Court had also directed to incorporate “one person one chamber, one court complex only” principle in the rules applicable for allotment of Chambers to Advocates in all Delhi Court complexes (whose courts are subject to the administrative control of the Delhi High Court). Explanation: (1) The term “any other Bar Association” means any Bar Association of which the voting or contesting member is a member of other than the one in which she or he is seeking to cast his or her vote, and/or contest for any elective post. Explanation (2) The terms “office bearer” “member of executive committee” and “elective post” mean any position to which if the member is elected, would entail exercising decision making powers either in the capacity as holder of the post, (such as President, Secretary etc.) or as part of a collective body by whatever name called (such as executive committee, governing committee or council, etc.). Explanation (3) “Declaration” means a declaration in the following form: I…. (State name, and full description, i.e., parentage, age, particulars of Bar Council enrolment, and membership of the Bar Association of the Court complex where chamber allotment is sought) do hereby solemnly declare and affirm that I have not voted for and/or am not contesting for any elective post, in any other Bar Association of which I am also a member in the last one year and that I will not do so in any election during this year in such Bar Association. In case this declaration is detected to be false, my right to vote shall remain suspended for three years after such declaration is detected to be false. The Bench also made it clear that the above condition shall be deemed to be incorporated in the conditions of eligibility applicable for voting as well as candidature for the post of member of any executive body (by whatever name called) and every office bearer of each association (President, Vice-President, General or Honorary Secretary, Assistant, Joint Secretary, Treasurer, Asst. Treasurer, or any other office bearer of each association by whatever other name called) immediately and shall be given effect to in every election to each Bar Association hereafter. This condition shall remain in force and bind all Bar Associations as condition for their recognition.